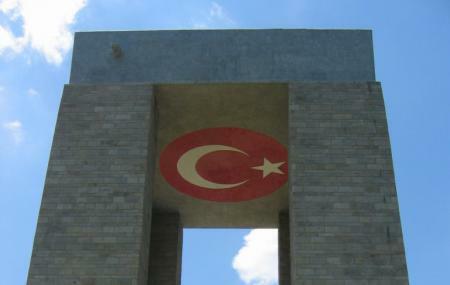 The Canakkale Sehitler Aniti is the Canakkale Martyr’s Memorial, which is a war memorial to honor the services of the thousands of soldiers who fought and gave their life to the country’s victory in the Battle of Gallipoli during the World War I. It is situated in the Gallipoli Peninsula Historical National Park. Beneath the memorial is the War Memorial that houses several documents and artifacts illustrating the grandeur of the battle of the Turks against the enemy nations together. The objects include military items, cutlery, false teeth, dress buttons, belt buckles, shields, photographs, etc. this place is a must visit. How popular is Canakkale Sehitler Aniti? People normally club together Kabatepe Orman Camp and Anzac Cove while planning their visit to Canakkale Sehitler Aniti.